Secured Start-Up Business Loans or Unsecured Start-Up Business Loans? Thinking about starting a new business? Start-up business loans may be on top of your checklist, yet one of the barriers to starting your business might be obtaining the credit needed to open the doors. Depending on your credit situation an unsecured start-up business loan is a great borrowing decision for many people. A secured loan requires the borrower to provide collateral against the loan. A majority of the time the collateral for a secured loan is the borrower’s house as it provides the largest value. Why would you consider an unsecured business loan? This start-up loan type does not require using your car or house as collateral in lieu of a higher interest rate. One of the main reasons in becoming a corporation is that your personal assets are protected. 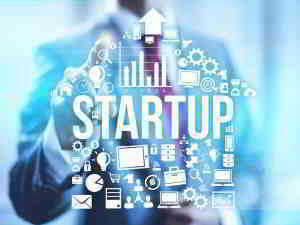 Many startups do not find success within the first few years of operation, which makes a start-up business loan a great risk. Finding the right loan for your business is a big decision that should not be taken lightly. You will need to make sure that you know all the details and evaluate them carefully before you agree to anything. You will also need to factor in what the loan will be paying for. Will the loan be used for working capital, equipment purchases, marketing, or payroll? Reviewing the needs for you business will help determine the amount of money that you need to borrow. Once you have reviewed and assessed your needs, then you will know how much money to borrow. Determining the amount of your start-up business loan will go a long way for your business, not borrowing more than you need or can repay. Starting up your business on the right foot financially can help you flourish in the long run.